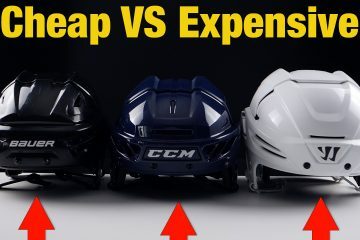 Whether you’re buying your first ice or inline hockey equipment bag or simply upgrading your current one. 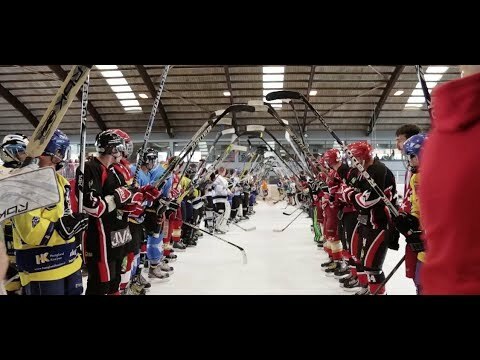 Let’s take a look at which ice/inline hockey bag will be the best option for your needs. 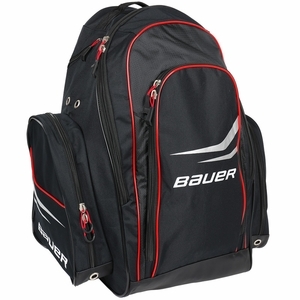 Hockey carry/shoulder equipment bags tend to be the most common bags. straight forward, fairly inexpensive and traditional. 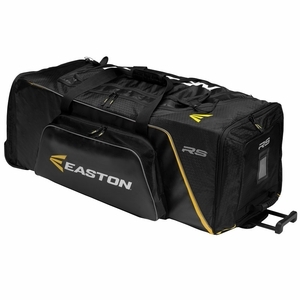 At the entry level price point (on most occasions) these bags consist of one section or large pocket for all your hockey equipment and other essentials. 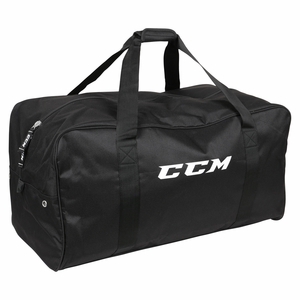 These bags are spacious and great for packing up your hockey equipment for practices and games. A rule of thumb is the more you pay for the carry bag, the more pockets and internal storage compartments the bag should have. Easy to fold and store away if tight for space at home. 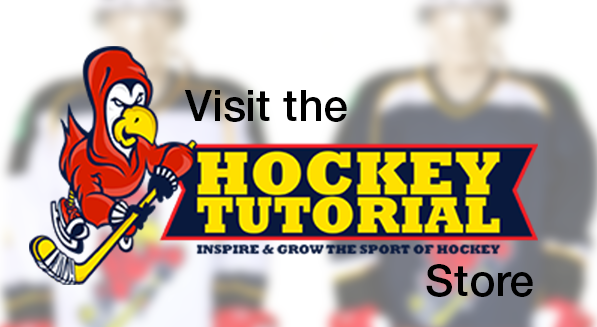 Lacks storage – No where to separate keys, stick tape or your spare change of clothes from your hockey equipment. This one negative results in multiple other negative points. Time consuming searching for all the small essentials that could be rolling around the bottom of the bag. Can be awkward and irritating to carry over long distances. 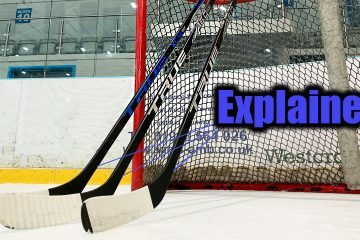 Wheeled hockey equipment bags – These bags are practically the same as the carry/shoulder bags. The main and most obvious difference is the added handle, wheels and support rods on the base of the bag. These add-ons will increase the weight of the bag when compared to the more traditional carry bag. 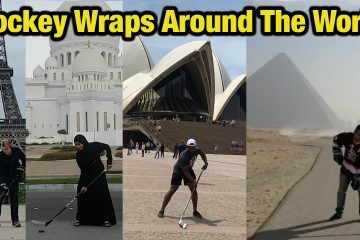 Keep this point in mind if traveling overseas to play hockey. 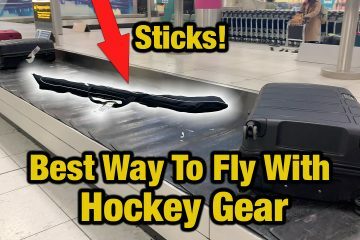 The added benefit of having wheels on your hockey bag is to make transporting it easier. 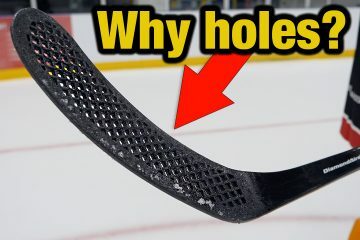 It’s much more convenient to drag a hockey with a handle and wheels behind you over large distances that you may have to walk instead of carrying it. Long walks from the car to the rink or if you’re on the road/airport with the team traveling is made more convenient. 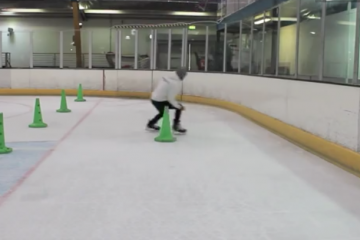 Wheels make things easier and allow you to conserve your energy for on the ice. A rule of thumb is the more you pay for the wheeled bag, the more pockets and internal storage compartments the bag should have. Greater durable due to support rods on the base of the bag to support the wheels and handle. Easy to move around due to wheels. Less energy used moving equipment bag around. Weight incase due to support rods, handle and wheel. Not easy to store if tight for space at home. It doesn’t fold away when empty due to wheels and handle (will only fold slightly flat). 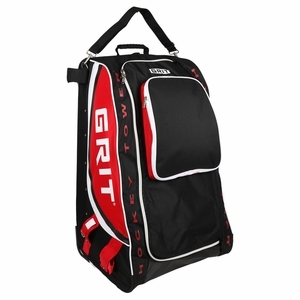 Backpack equipment bags are fantastic for any players that are tight for space at home, in a car pool or that use public transport to get to the rink. 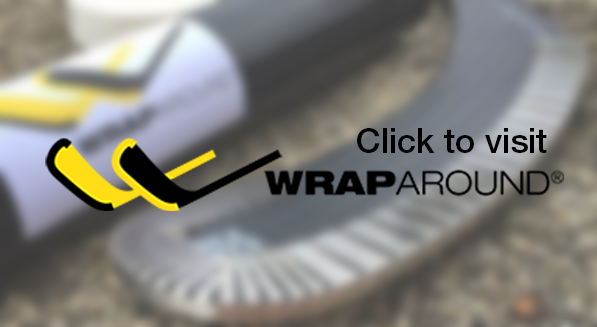 Their compact design makes them easy to travel with an store away. Normally they consist of a single large central pocket with smaller external skate pocket positioned on the sides of the bag for comfort and balance, one internal accessory pocket, and external valuables pocket. If you only carry the hockey essentials with you and have no need for extra space (for pucks, team jerseys etc) the backpack could be a great option for you. Great for public transport travel. 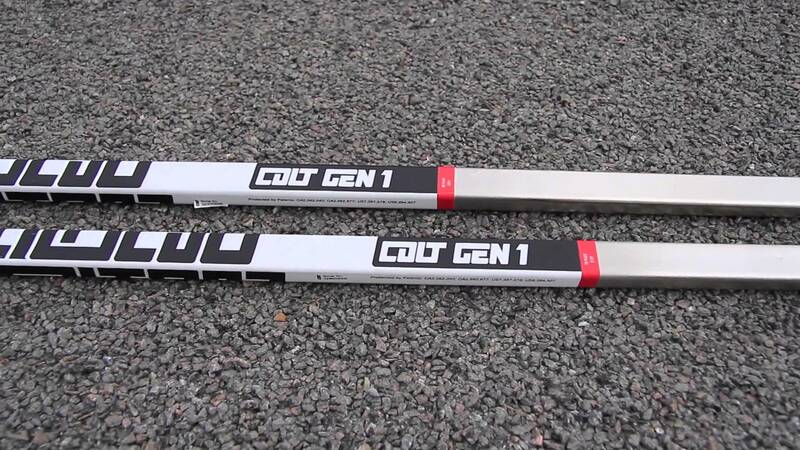 Easy to walk around with and enter through busy doorways or areas. Easy to fold up and store away. 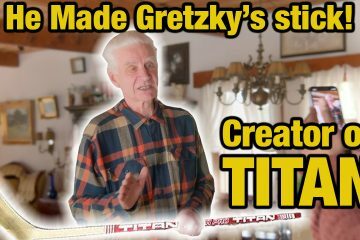 Space is limited for any miscellaneous or extra hockey bits. It’s almost square shape can be inconvenient for some players. The Grit Tower bag has a ventilation system that runs through the back of the bag allowing air to enter and escape helping your equipment to dry much faster than a traditional bag. Personalised shelves inside the bag for each piece of your equipment allow you to quickly and easily store your gear. (Also a handy feature if you are known for forgetting items each weak) Every piece of your equipment has a place on the shelves. These bags are fantastic for keeping players organised. Another great feature of the Grit Tower Bags is the fact that it sits upright. This saves a great deal of floor space inside the locker room which not only helps those around you get ready. In addition this features keeps you from having to bend over to get into your bag which will make your experience easier as well. Upright standing bag makes it quick and easy to get ready. This design also saves space on the locker-room floor. Internal shelves separate and organise all your equipment so that everything has its place. Solid construction provides long lasting durability. Large single front door gives quick and easy access to your equipment. Multiple internal pockets make storing extras like tape and wax, keys, phone and wallet more convenient. Large heavy-duty all terrain wheels make moving, pulling and turning the bag increasingly easy. It also holds up well bring dragged up and down stairs. 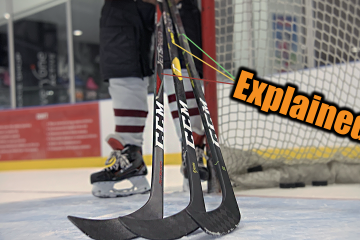 Built-In blade ports secure your sticks to either side of the bag. Foot carpet to rest your bare feet on while dressing. Space is limited for any miscellaneous or extra hockey bits. 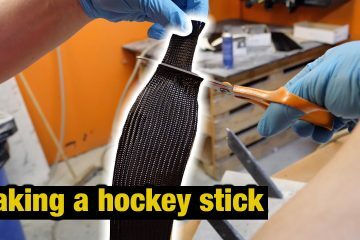 Only the hockey essentials will fit easily. Because of its design and shape, it can be inconvenient to store away as it doesn’t fold up (will only fold slightly flat).